Vitamin C Modulates TET1 Function During Somatic Cell Reprogramming | What is Epigenetics? Cellular reprogramming of somatic cells to a pluripotent state (an undetermined state in which a cell is capable of differentiating to all of the various cell types of the body) is accompanied by several epigenetic changes including genome-wide resetting of DNA methylation status. Vitamin C, an essential nutrient for humans, is involved in several metabolic pathways and in the prevention of conditions such as scurvy. Vitamin C was recently found to promote the generation of induced pluripotent stem cells (iPSCs) through the activity of histone demethylating dioxygenases. Members of the ten-eleven translocation (TET) family of 5-mC hydroxylases are also dioxygenases and have been found to be necessary for epigenetic reprogramming of genes. The TET family includes TET1, TET2 and TET3. These proteins promote active DNA demethylation by the removal of 5-methylcytosine via the sequential modification of cytosine bases – converting 5-mC to 5-hmC, 5-hmC to 5-fC (5-formylcytosine) and 5-fC to 5-caC (5-carboxylcytosine) through hydroxylase activity. The demethylation process is also directly involved in many important disease mechanisms such as tumor progression. Researchers at the Guangzhou Institutes of Biomedicine and Health, Chinese Academy of Sciences, Guangzhou, China along with other collaborators, investigated whether TET1 plays a role in vitamin C-induced reprogramming of mouse embryonic fibroblasts (MEFs) to generate induced pluripotent stem cells (iPSCs). Induced pluripotent stem cells are somatic cells that have been artificially genetically reprogrammed to mimic an embryonic stem cell-like state. This can be achieved by supplementing culture media with factors that will promote and maintain reprogramming. For their studies the authors were able to derive MEFs from Tet1+/+, Tet1+/-, and Tet1-/- embryos and employed a TET1-CD (catalytic domain) expression system. 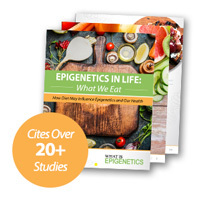 Their findings suggest an additional role of vitamin C in the regulation of TET1 function and make a strong case for further investigation of the involvement of this vital nutrient in epigenetic processes. TET1 negatively regulates somatic cell reprogramming in the presence of vitamin C. Mouse embryonic fibroblasts deficient in Tet1 (Tet1-/-) underwent reprogramming more efficiently and showed more rapid activation of Nanog and Dppa3 (PGC7) – factors associated with maintaining an undifferentiated state. Tet1 knockdown also promoted the conversion of pre-iPSCs into fully reprogrammed iPSCs. This function of TET1 was not observed in its mutant form that lacked dioxygenase activity. Omission of vitamin C from culture medium resulted in iPSC generation in the presence of TET1 as previously reported, suggesting a unique role for vitamin C in the regulation of TET1 function. Vitamin C regulates TET1 function in a dose-dependent manner but has no effect on TET2 mediated generation of iPSCs. TET1 inhibits reprogramming by regulating MET-related loci (mesenchymal-to-epithelial transition) in a vitamin C-dependent manner but not loci involved in pluripotency. Significant repression of Cdh1 and Epcam expression was observed only in the presence of vitamin C and TET1. Furthermore, TET1 regulates 5hmC levels around MET-related genes. Source: Read more about their findings and get all of the details here: Chen J., et al, Vitamin C Modulates TET1 Function During Somatic Cell Reprogramming, Nature Genetics (2013, Oct 27).